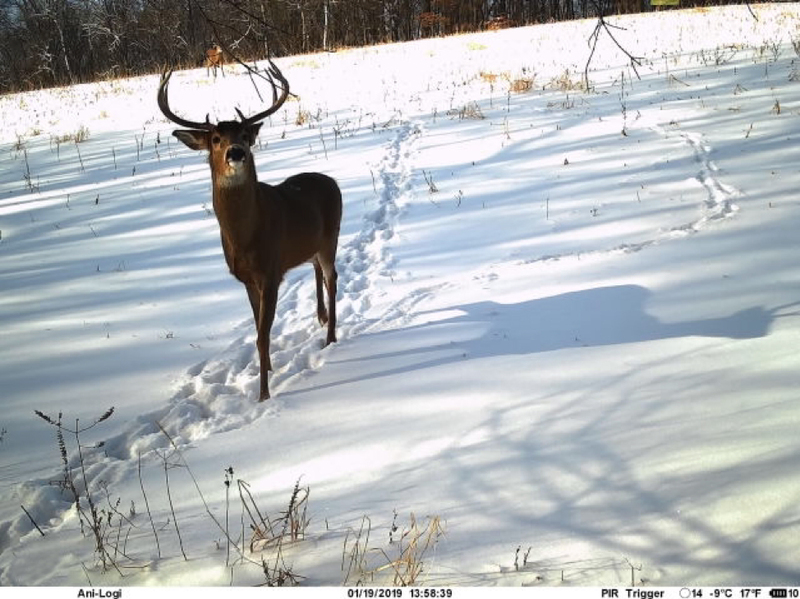 We are in the midst of an extreme cold front hitting the upper Midwest, and many hunters are concerned about how deer will cope with the extreme cold temperatures. The good part about this cold snap is that it is relatively short-lived. Here in Minnesota, temperatures will rebound to normal within 3 days, so the effect of this extreme front will not be long-lasting. Deer legs are long and slender which you might think would be counterproductive for keeping warm, but their long narrow legs help their blood stay warm by the blood vessels touching each other. 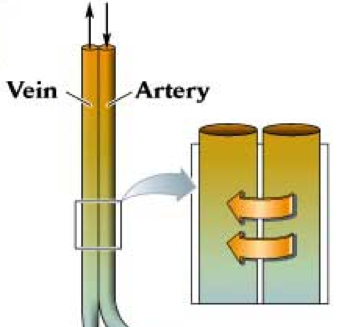 Warm blood in an artery coming from the body core carries heat and when the blood runs past a peripheral vein the cold blood that is returning to the core gets warmed up by the blood in the artery. It saves them energy by not having super cooled blood returning to their core. Deer conserve body heat by bristling their hair which traps air thus increasing insulation. We call this phenomenon “goose bumps” and is something mammals do involuntarily. If you have ever seen a doe that looks really “fuzzy” you have seen piloerection in action (see picture below). You may have also seen an aggressive buck use piloerection to make himself look bigger before a fight. In order to conserve energy, deer tend to bed longer in the winter than at other times of the year. Where they bed is important for them to conserve energy and stay warm while bedded. The first thing they do is bed on the leeward side of thick thermal cover. This is usually an evergreen thicket or a hedge row, but any place that acts as a barrier to the cold wind will help to conserve energy. On calm sunny days they will select bed sites that have more of a southern exposure which allows them to soak up the rays from the sun over a longer period of the day. This is why you see so many shed hunting articles telling you to look at south facing slopes to find more sheds. Food sources high in carbohydrates offer energy which can be used to store fat or to move around. When extreme cold temperatures hit, deer need to burn fat in order to stay warm because they cannot intake enough energy directly from the food they consume that day. Many deer living in agricultural landscapes rely on waste grain to help them get through the winter, but modern farm machinery is much more efficient than it was 15-20 years ago, so waste grain is not nearly as common. 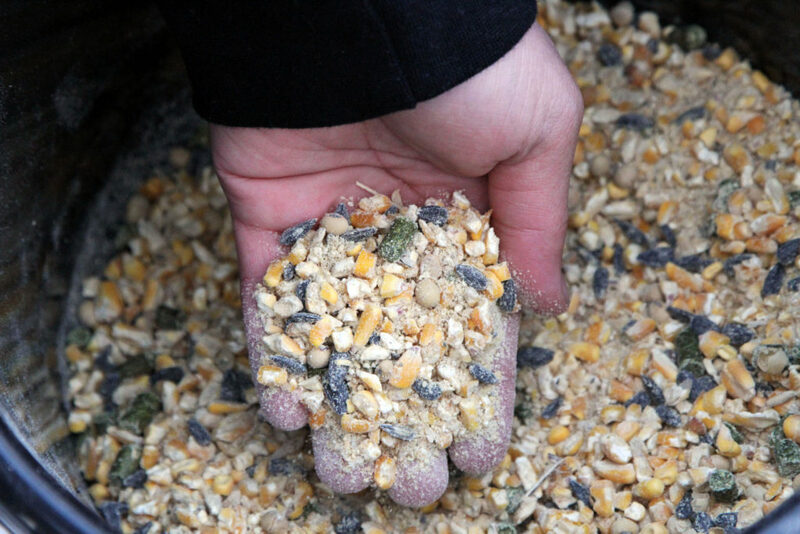 If you have a deer herd struggling to find food, you can pour out a bag of Ani-Supplement GOLD which has a diverse selection of high carbohydrate food sources. The great thing about Ani-Supplement GOLD is that it also supplies deer with adequate protein, which corn by itself is deficient in. 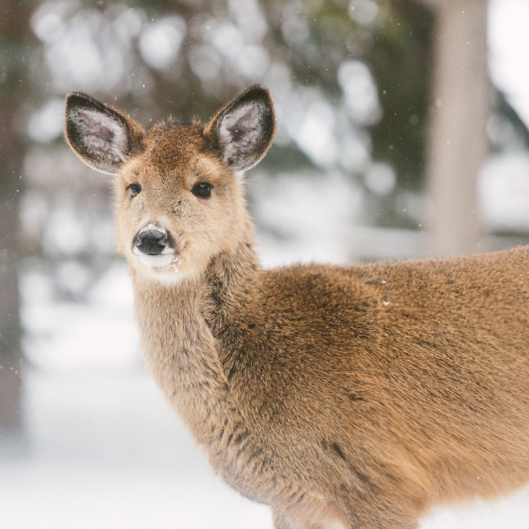 You also do not have to worry about digestion issues which can occur if deer are starving in winter and all of a sudden have access to high carbohydrate diets also known as grain overload. This is because Ani-Supplement GOLD contains powerful probiotics which aid in digestion.